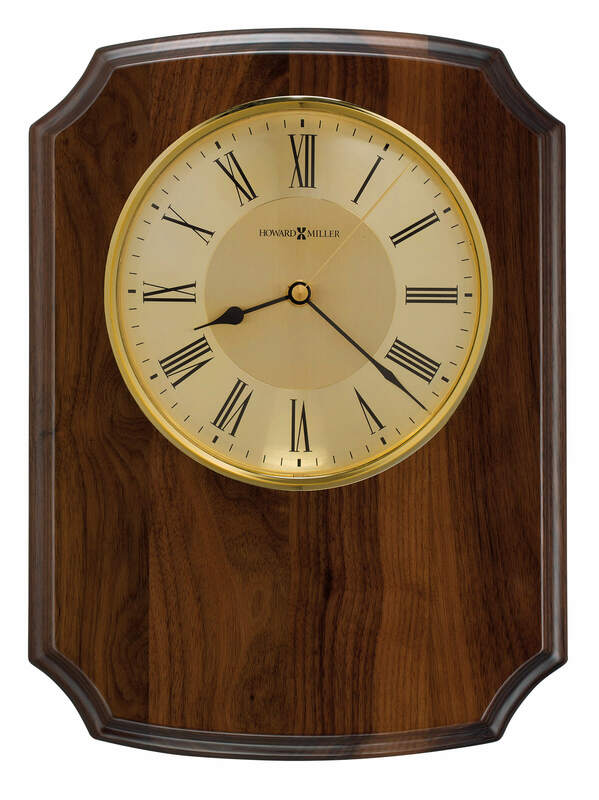 This stately clock features a solid walnut plaque and piano finish with profiled edges and scalloped corners. The dial includes a diamond cut, circular spun brass-finished numeral ring with black Roman numerals and minute track, a satin brushed brass-finished center, black hour and minute hands, a brass-finished second hand, and a convex glass crystal, surrounded by a polished brass-finished bezel. You will save $48.90 (30 %) on this Howard Miller Honor Time Herald 625-599.